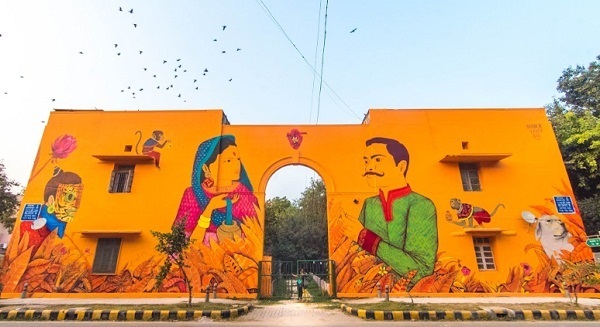 Walking around your city, you’ve definitely noticed walls or buildings that were once drab now adorned with vibrant artworks — that’s all thanks to St+art India. In its latest edition in the capital, the St+art India Foundation brings to viewers 20 new murals in the Lodhi Art District, an exhibition at the art space KONA, and community participation from over 30 creators. Here’s to beautifying our cities, one mural at a time. St+art Delhi 2019 is taking place at various venues in New Delhi from February 1 to March 15. An undisputed pioneer of modern Indian painting, Prabhakar Barwe was a prominent part of the modernist Neo-Tantra movement. Today a new retrospective of his works, curated by Jesal Thacker, takes viewers on a journey through his paintings, collages, sketches, diaries and writings. Inside the Empty Box aims to explore the genius mind of Barwe, with a series of talks, workshops and a symposium also accompanying the extensive exhibition. Inside the Empty Box — Prabhakar Barwe is on display at the National Gallery of Modern Art (Mahatma Gandhi Road, Fort), Mumbai from February 8 to March 8. 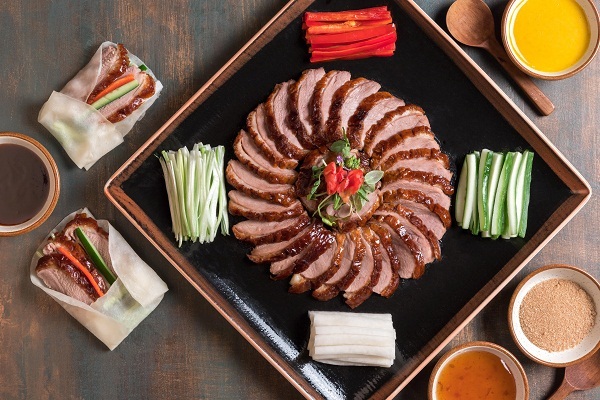 To celebrate the Chinese new year — this time the Year Of The Pig — the Asian fine dining space Foo brings to patrons a limited edition menu with some traditional Chinese dishes to savour. Pick from the fortune chilly prawns or the braised hakka Belgium pork belly, or indulge yourself with the prosperity aromatic duck with pancakes or the vegetarian fagara chilly garlic baby potatoes — Foo has something for everyone. And to add to the experience are a group of dancers who will entertain with a Dragon Dance performance. The special menu is available for lunch and dinner at Foo (1st Floor, Festival Square, High Street Phoenix, Lower Parel), Mumbai until February 10. St. Regis’ rooftop bar, Asilo has reopened this week, and you can head there for a grand selection of cocktails accompanied by a great view. Housed on the 40th floor of the hotel, Asilo also has on offer excellent food, including grills from a Jopser oven. Views of Mumbai’s skyline all lit up and a drink in your hand, what more can one ask for? Asilo is now open at the St. Regis Hotel (462, Senapati Bapat Marg, Lower Parel), Mumbai from 5.30pm-1.30am daily. Composer Zdenek Kansky and his wife vocalist, pianist, producer, and composer Christie Kanska make up the lead duo of the ZCK Quartet, currently in India to play tunes from their new album, Le Reve – The Dream. This weekend, they will be playing a modern concoction of Jazz, Latin, Fusion, world music and Funk with a host of guest musicians. The ZCK Quartet will be performing at The Piano Man Jazz Club (Commercial Complex B 6/7-22, Block B6, Safdarjung Enclave), New Delhi on February 9 at 9.15pm. Music director of the English National Opera, acclaimed conductor Matryn Brabbins is in India to conduct the SOI and joint choirs from India and abroad for a rendition of Beethoven’s Ninth Symphony. Including the world-famous Ode To Joy, Beethoven’s Ninth has been considered “the central artwork of Western music”. 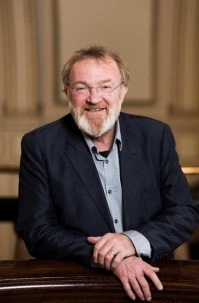 The SOI concert will also include the maestro’s Choral Fantasy, a piano concerto movement that brings in a choir and vocal soloists for the climax nearing the finale. Beethoven’s Ninth Symphony will be performed by the Symphony Orchestra of India at the Jamshed Bhabha Theatre, (National Centre for the Performing Arts, NCPA Marg, Nariman Point), Mumbai on February 9 at 7pm and on February 10 at 5pm.